Known for Japanese gardens at JACCC, Cal Poly Pomona, Balboa Park. Rev. Dr. Takeo Uesugi, an internationally renowned Japanese landscape architect, professor emeritus at California Polytechnic University, Pomona, and Tenrikyo Church minister, passed away peacefully on Jan. 26 after a courageous bout with cancer. He was 75. 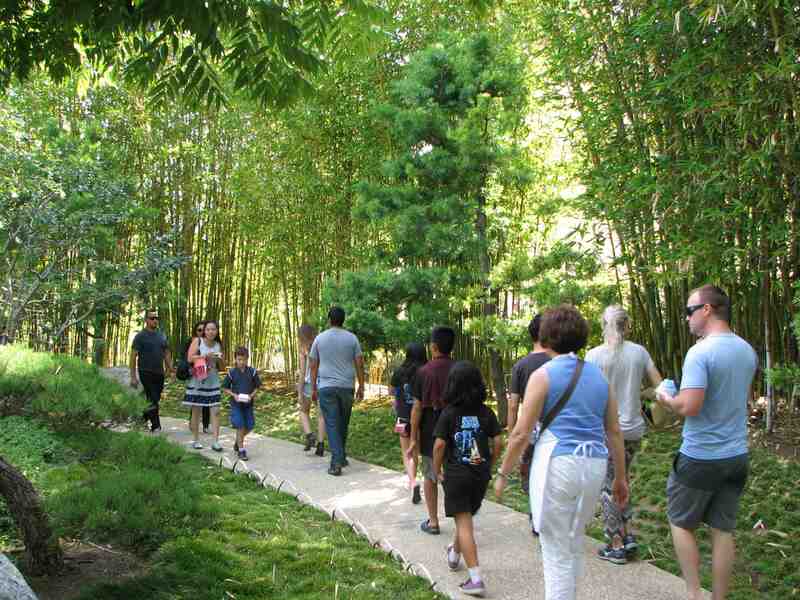 “Takeo Uesugi was one of the most important makers of Japanese gardens in North America over the last 40 years,” Kendall Brown, professor of Asian art history at California State University, Long Beach, told the Nichi Bei Weekly. Uesugi taught landscape architecture at Cal Poly Pomona from 1970 to 2000, and designed numerous Japanese gardens throughout the nation, including the James Irvine Japanese Garden at the Japanese American Cultural and Community Center in Los Angeles, the Grand Hyatt in Atlanta, and the Japanese Friendship Garden in San Diego’s Balboa Park. In recognition for his work on the Irvine Garden, Uesugi received the National Landscape Award from First Lady Nancy Reagan at White House ceremonies in 1981. “It’s a very beautiful site; he was very proud,” said Hirokazu Kosaka, master artist-in-residence at the JACCC, who as caretaker of the James Irvine Japanese Garden worked closely with Uesugi over the past 30-plus years, including the renovation of the garden in recent years. Kosaka noted that as a unique “sunken garden,” it is not visible from the street. Following the path of his father, Uesugi was installed as the head minister of the Tenrikyo Pacific Valley Church in West Covina in 1996. 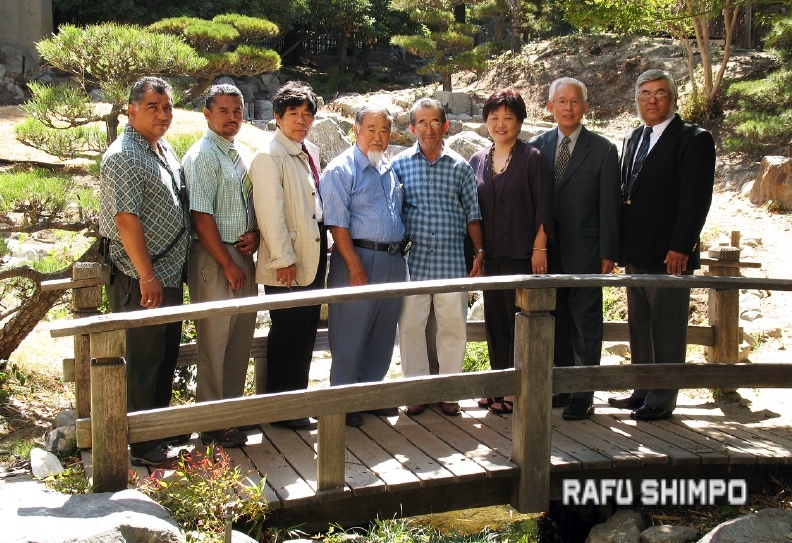 In 2010, Uesugi was awarded the Order of the Sacred Treasure, Gold Rays with Neck Ribbon — a Kunsho or medal of honor from the government of Japan — recognizing his work in fostering international relationships with the design and education of Japanese gardens throughout North America. Uesugi was born in Osaka in 1940 to a family of landscape designers, in which he was the 14th generation to continue the ancient tradition. He studied landscape architecture at Osaka Prefecture University in the early 1960s, and after coming to the U.S. in 1965, he earned his master’s of landscape architecture in 1967 from UC Berkeley. In 1970, he designed the Japan Pavilion at the Expo 70 in Osaka. 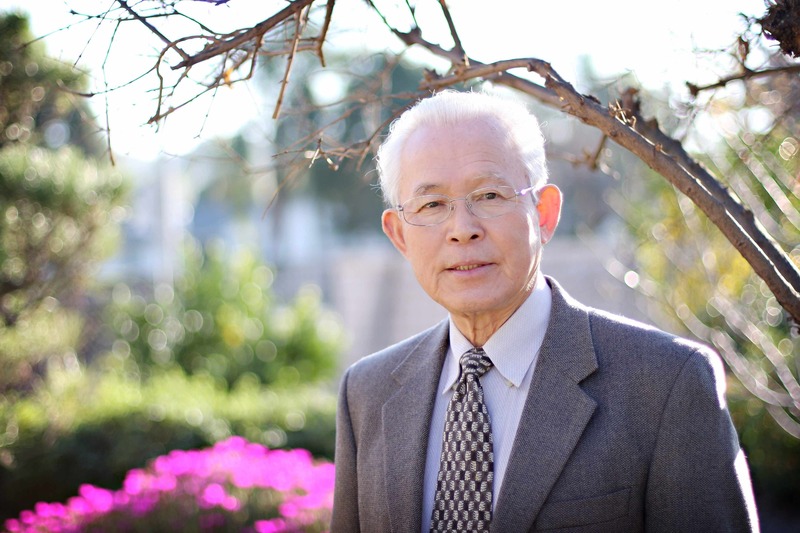 Uesugi returned to the U.S. later that year to teach at Cal Poly Pomona and received his Ph.D. in landscape architecture in 1981 through correspondence studies from Kyoto University. Other Japanese gardens designed by Uesugi, who headed his own design firm, TUA Inc., out of his West Covina office, include the George and Sakaye Aratani Japanese Garden at Cal Poly Pomona, the Huntington Library Japanese Garden renovation and expansion, as well as gardens for institutions, businesses and private residences in Kansas, Chicago, Alabama, Shanghai and throughout California. Working alongside his father since 2005, Keiji Uesugi was impressed with his design philosophies. “I was able to gain insight into his unique aesthetic sensitivity and the principles by which he approached each design,” said Keiji Uesugi, principal at TUA Inc. “As a professional landscape architect, I was extremely humbled by the intensity and passion he injected into creating design concepts for the clients, and the designs would continuously be extremely creative while being intimately based upon the features of the existing landscape. “His philosophy that good design should shape a positive and bright future for everyone is something I have dedicated myself to continuing in my practice,” said Keiji Uesugi. But while he was a dedicated designer of Japanese landscapes, Takeo Uesugi was also deeply passionate about his Tenrikyo faith, which is not lost upon his family. Uesugi was predeceased by his parents Seiichi and Kiku Uesugi, brother Tomoji as well as sister Kotoe. He is survived by his wife, Hiroko; sons Koji (Ruby) and Keiji (Rebecca) Uesugi; daughter Mari (Aaron) Helenihi; and grandchildren Kaitlyn and Hannah Uesugi; Alyssa and Selene Uesugi; and Ashley, Troy and Naomi Helenihi. He is also survived by brothers Michihiro and Munetoshi Uesugi. Memorial services will be held at 10 a.m. on Saturday, Feb. 6, at the Tenrikyo Mission Headquarters, 2727 E. First St., Los Angeles.